Rising Populist activism found a voice in this election. Bryan claimed to speak for discontented farmers and factory workers whose problems stemmed from westward expansion, urbanization, and explosive economic growth. 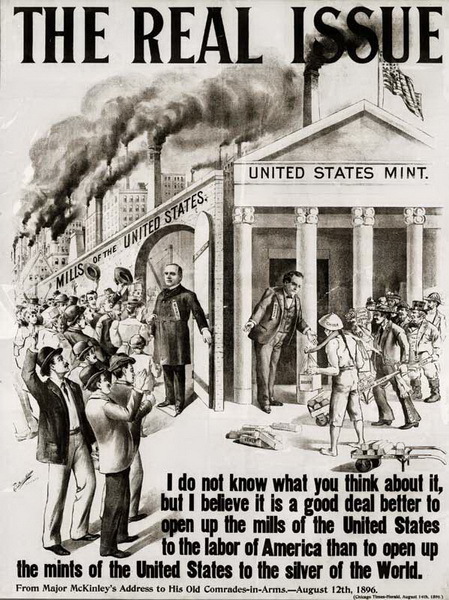 Bryan's campaign centered on the "free coinage of silver." Silver would be made into coins, which would expand the money supply and benefit people who were in debt. Many Easterners considered Bryan too radical. They did not add to the support he received from the agrarian West and South. 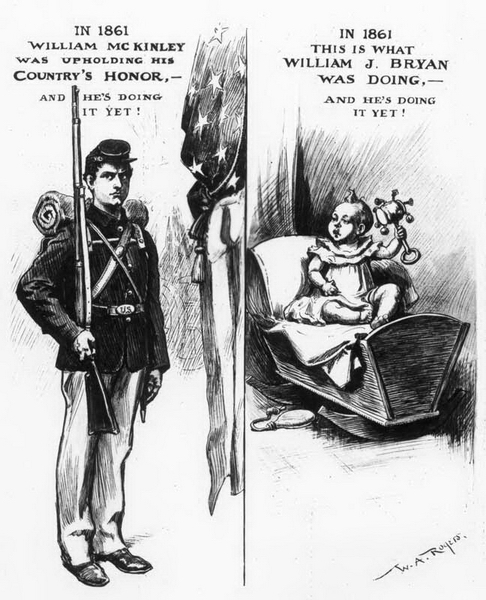 Pro-McKinley political cartoon. "Harper's Weekly," August 29, 1896.